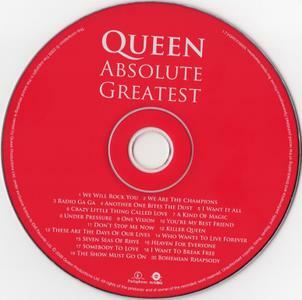 The latest in a long line of Queen compilations stretching back to 1981's Greatest Hits, 2009's Absolute Greatest runs a generous 20 tracks yet still manages to miss several classic Queen songs, such as "Fat Bottomed Girls," "Bicycle Race," "Good Old-Fashioned Lover Boy," "Flash's Theme," and "Tie Your Mother Down." 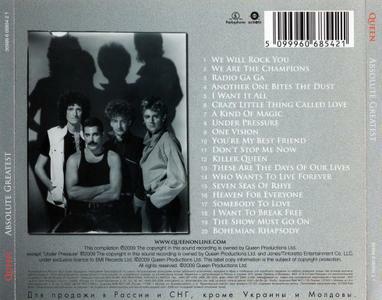 In their place are several latter-day singles that were hits in Europe but not America ("The Show Must Go On," "Who Wants to Live Forever," "These Are the Days of Our Lives"), so it makes sense that this compilation in its various formats – a single-disc set, a double-disc where the second CD contains commentary by Brian May and Roger Taylor, one with a hardcover book, one with LPs – appeared in the U.K. and Europe first, because it was tailored for this market. 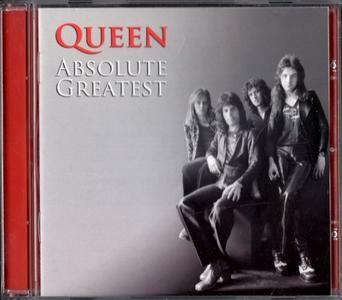 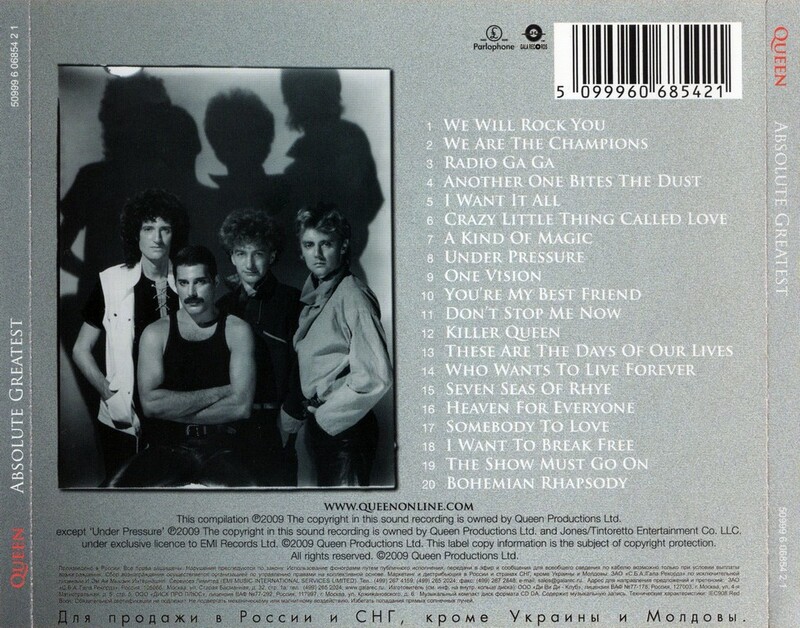 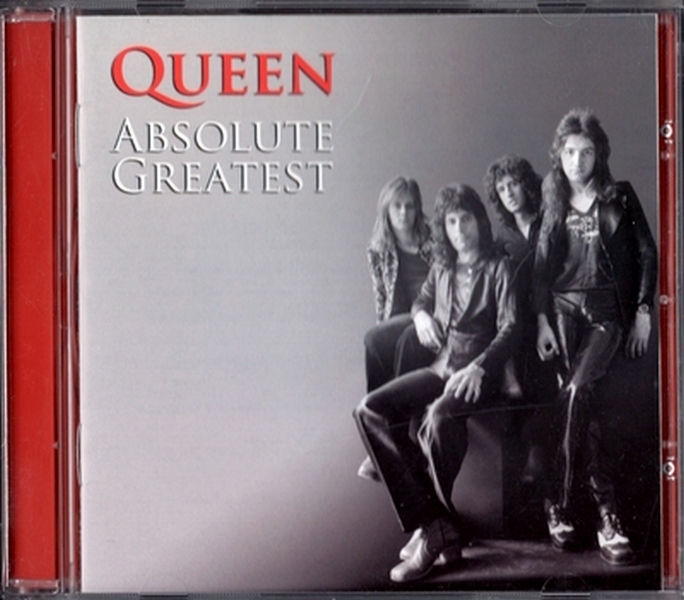 And, overall, it's a nicely balanced collection of 20 highlights, delivering all the usual suspects – "We Will Rock You," "We Are the Champions," "Another One Bites the Dust," "Crazy Little Thing Called Love," "You're My Best Friend," "Killer Queen," "Bohemian Rhapsody" – plus good latter-day hits, making it a solid overview but not a definitive one.